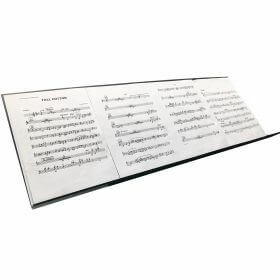 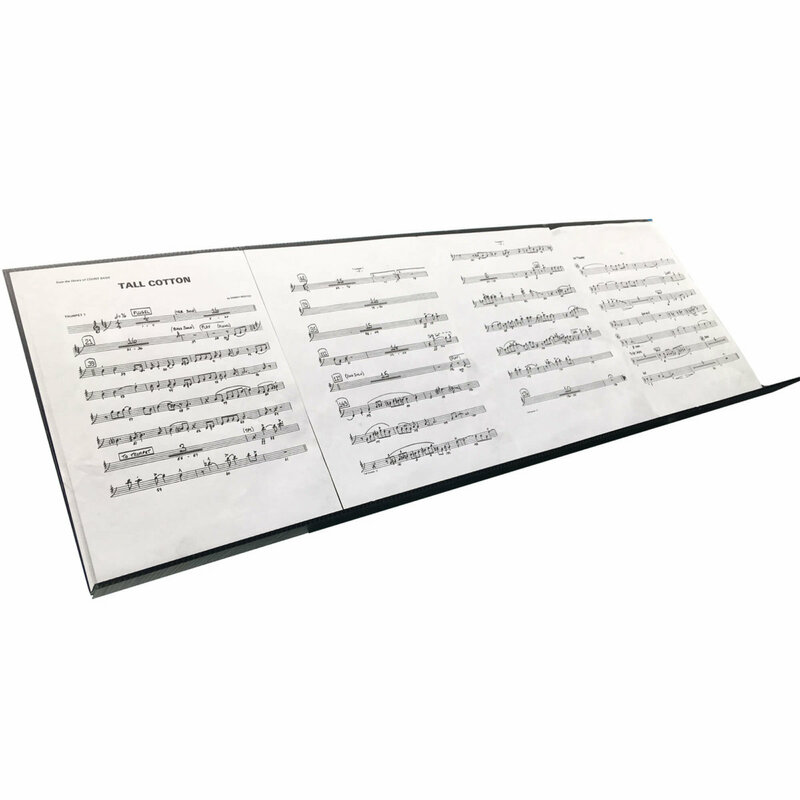 The EZ Music Stand Extender is a handy device that increases the capacity of your existing music stand so that it holds at least twice as many sheets and folds away compactly when not needed. 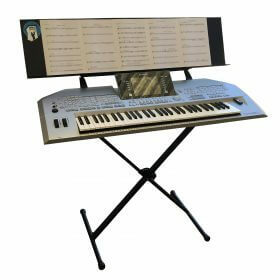 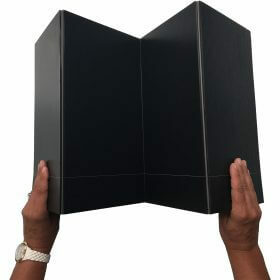 We have two versions: the Regular model holds 4 sheets of music and the Piano model holds 6 sheets. 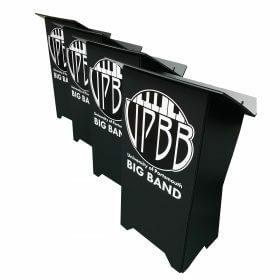 You can also cut panels off to make it the size that you need.